How Much Investment is required to start PCD Pharma Company – Business without investment is not possible. If you want to start a business then you must need to do certain investment. No matter if your business is small or big investment is the must. Whether it’s your own business or a franchise you will need to invest some amount of money in it so that you can complete the requirement like employee salary, purchasing, and many other things. 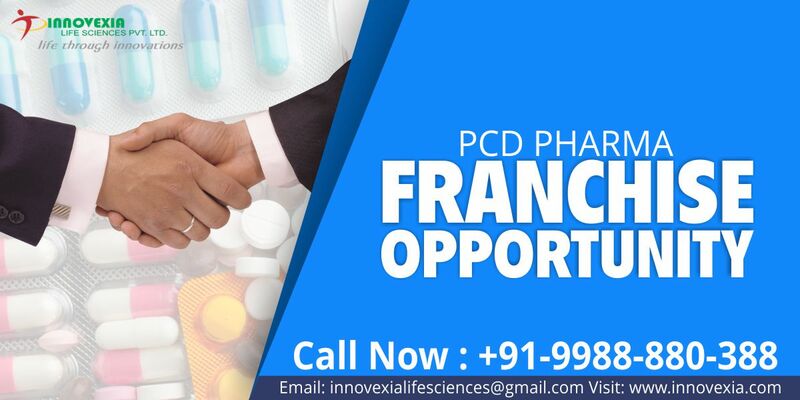 Same is the case with PCD Pharma Company, if you want to invest in Pharma Franchise Company then you must know that how much Investment will require starting PCD Pharma Company. The pharma franchise industry is growing well in India and provides the huge profit if you invest in the right pharma franchise company. Though the pharma industry provides the many business opportunities but owning your own company is best among them when it comes to growth and ROI. But to own that, you must know how much investment is required for PCD franchise. Does not worry you do not have any idea about this, Innovexia Life Sciences will provide you the good idea about requirements for taking pharma franchise. Identification of land feasible for the target market and industry-friendly state. MR to visit and promote to doctors your product. You will also need to make the credit to chemist and stockist. Money for promotion and marketing of your products will also be required makes sure that you keep your money for this as well. You will be required to pay for the trademark for per product which will be the govt fee that is 4500rs in addition the advocate fee. So these were the few things that you need to keep in mind while investing in the Pharma business. Make sure that you follow the right procedure so that you do not go through any kind of trouble or problem later. Prepare your budget well keeping in mind about all the aspect of the investment.